As a result of Lemondogs’ inability to form a complete roster by January 8th 11:59 CET, a new opportunity for the unsuccessful competitors in the LCS promotion tournament has arrived. Ninjas in Pyjamas, SUPA HOT CREW XD and MeetYourMakers will compete for LD’s spot in the LCS. The play-ins will be carried out in a Best of 1 Round Robin format. In the event of a tie between the teams after these games, they will be randomly placed in a single elimination bracket with one team receiving a bye into the finals. The games will be played and shoutcasted Saturday January 11, at 17:00 CET / 8:00 AM PST. NiP achieved 5th place in the LCS Summer Split after going 15-13 in the regular season, but failed to perform in the Summer Playoffs, losing to Gambit Gaming and Team ALTERNATE. As a result, NiP needed to requalify for the LCS, but lost to amateur team Kiedyś Miałem Team 0-3. The strength of their roster centers around their LCS experience, with Zorozero, mithy and Nukeduck being part of the former Lemondogs roster that achieved 1st place in the LCS Summer Split and 9th-10th in the Season 3 World Championship. Starting jungler hyrqBot will be unable to compete for unannounced reasons. Replacing him will be Challenger player Fury III, shifting roles from his normal spot as marksman. Many of NiP’s recent struggles can be attributed to weak bot lane synergy, which amplifies overall team problems. Ninjas in Pyjamas certainly has a strong chance to return to the LCS once more, but they have to make the most out of their strengths: diverse champion pools, early game pressure, and LCS/S3WCS experience. SHCXD were able to qualify for the Promotion Tournament through the Wellplayed Qualifiers #2. After qualifying, then-jungler, k0u, had to be replaced because of his age. Team Dignitas UK’s jungler Impaler temporarily joined the team to compete in the Promotion Tournament. Their journey through the Round Robin stage of the Promotion Tournament was a success, as they placed second, and were chosen by SK Gaming for the promotion match. The series started with a dominant 2-0 lead and what seemed headed towards a clean sweep. However, SHCXD’s inexperience in bo5 set-ups caught up and they lost 3 games in a row, failing to qualify for the LCS Spring Split. SHCXD’s strength is their early game aggression, as they utilize a similar playstyle to NiP, though SHCXD boasts a different champion pool, notably Mimer’s frequency to play Rengar and Evelynn. The SHCXD squad will again be using Impaler in the jungle. Impaler is known for being in every lane possible, using a high pressure jungling style to snowball lanes quickly. Seeking to benefit from the constant ganks is marksman MrRallez, who is considered a highly-skilled marksman with a big champion pool. A staple of SHCXD play is solid late game compositions, which allow them to transition more easily into late game than their play-in opponents. MYM are the most experienced and stable roster in this play-in, having played together for over a year. Unfortunately, roster consistency does not mean improvement, as was shown in their performance in the Summer Split LCS 2013, ending eighth place. MYM has matched against Copenhagen Wolves as CW was the last amateur team selected. MYM started solidly by winning the first match, however, Copenhagen Wolves showed why they were feared by the relegated LCS teams, turning the series around to end with a 1-3 score. Recently, MeetYourMakers has been playing without Czaru, who was on vacation. He is expected to return early from his holiday to compete in the play-in for MYM. Czaru’s vacation has not stopped MeetYourMakers from scrimming, as CHUYOU served as a substitute in the Mid lane role. With Czaru returned, as well as CHUYOU being underaged for LCS, MYM return to their original, familiar lineup once again. Who do you think will qualify to the LCS? 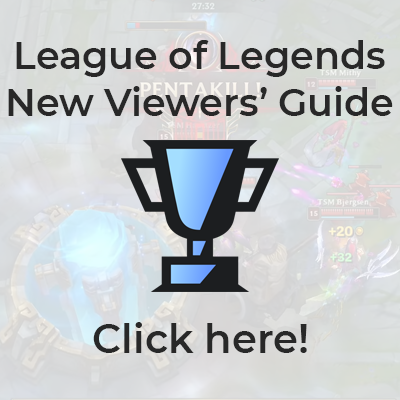 You can watch the action today on LoLeSports.com, and you can leave a message at the comment section. This page was last edited on 11 June 2018, at 00:52.